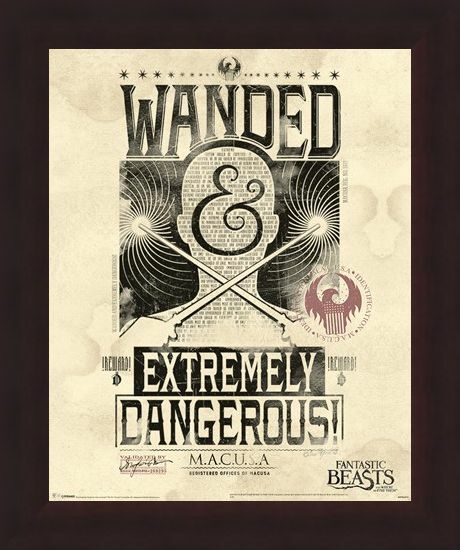 There is an extremely dangerous wizard on the loose in New York City and M.A.C.U.S.A are here to warn you about them in the form of this magical mini poster! Set on a simple cream background, a silhouetted outline of a human head is positioned at the centre, with mysterious lettering scattered across the face. 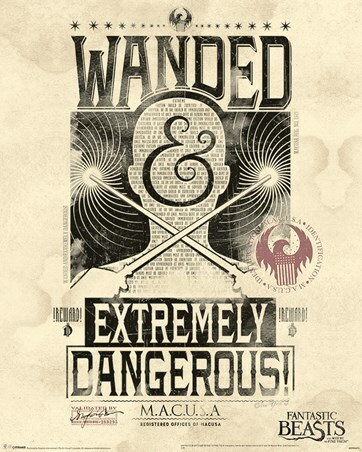 As two wands cast powerful spells on either side, there seems to be a good reason as to why this wizard is so 'WANDED'. 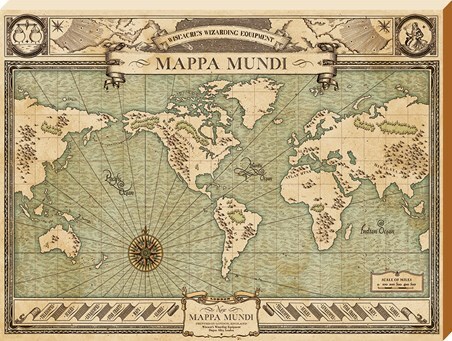 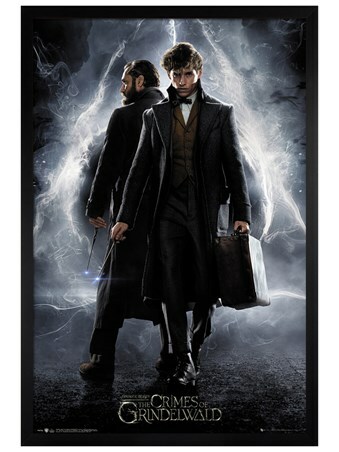 If you can't wait to delve deep into the world of magic, then you'll love the 2016 film, Fantastic Beasts And Where To Find Them. 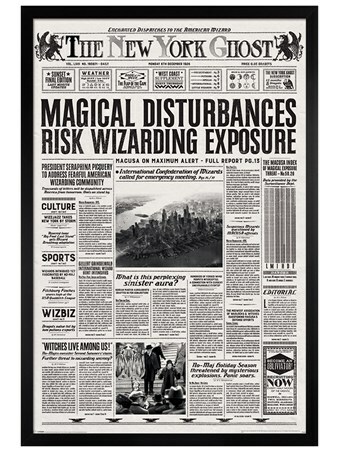 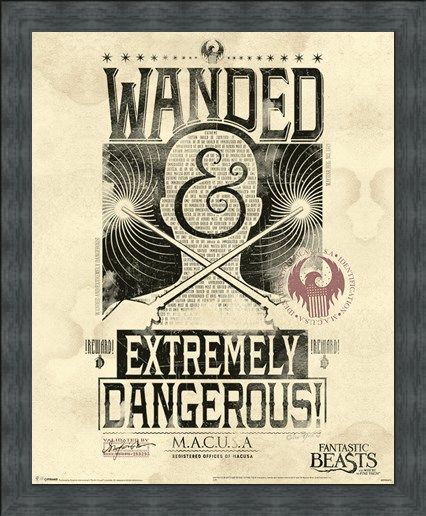 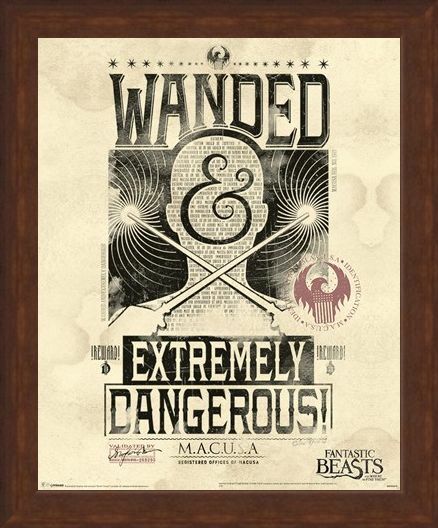 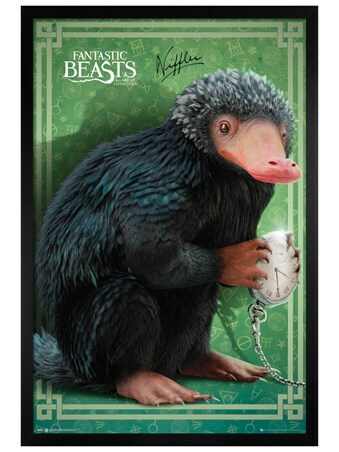 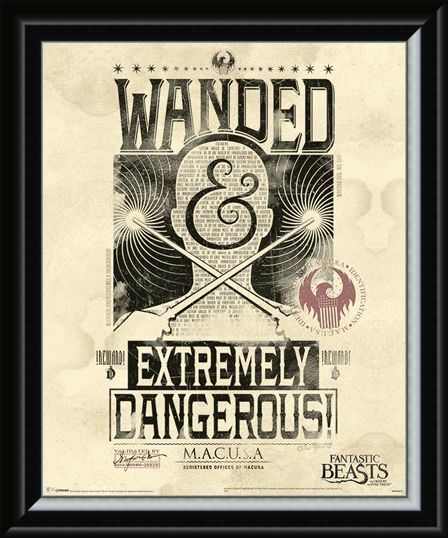 High quality, framed Extremely Dangerous, Fantastic Beasts mini poster with a bespoke frame by our custom framing service.